A funny little car that moves all on its own! The first vibrating musical car with the image of Sophie la girafe. 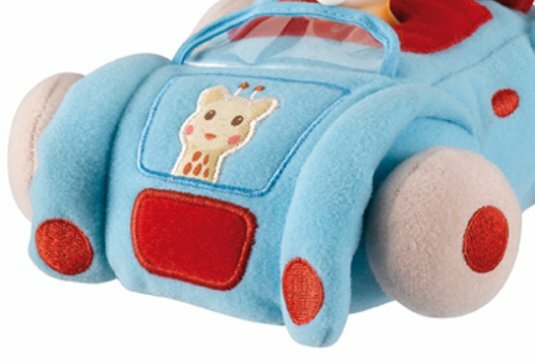 When the bonnet is pressed, this amusing little car vibrates and moves forward, and a catchy little melody is played! 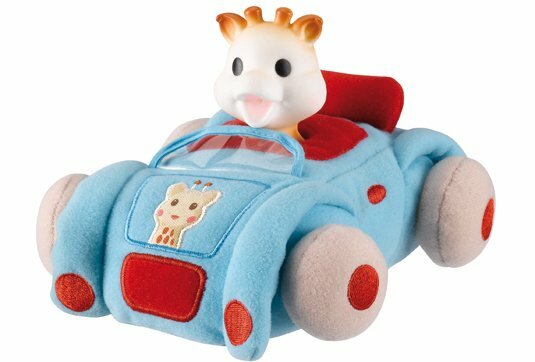 Baby will love taking Sophie la girafe out of the car and putting her back in again! 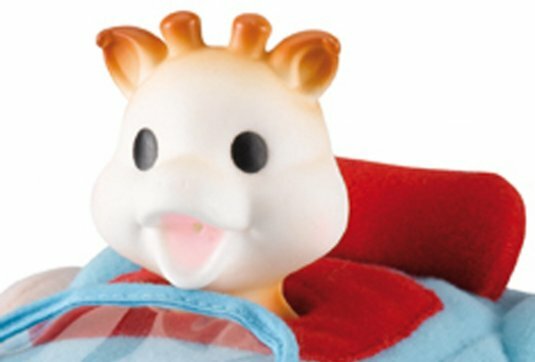 A nice detail: When Sophie la girafe is used alone, she becomes a bath toy, sprinkling out water when her body is squeezed. Works with 2 AA batteries.